This website is operated by Ste. Michelle Wine Estates Ltd. This website is intended to be used and accessed only by people who are of legal age to purchase and consume alcohol. If you are of legal age in your country of residence and the country from which you are accessing this website, please continue. If you are not, please exit this website immediately. By continuing, you affirm that you are of legal age to purchase and consume alcohol in your country of residence and the country from which you are accessing this website. We expressly disclaim responsibility for compliance with laws and regulations outside the United States which may govern your use of this website. Throughout the website, the terms "we," "us," and "our" refer, as appropriate in the context, to Ste. Michelle Wine Estates Ltd., and/or Ste. Michelle Wine Estate Ltd.’s parent, subsidiary, partnerships, joint ventures, or affiliated companies. This website is operated for the purpose of providing general information about Ste. Michelle Wine Estates Ltd. Ste. Michelle Wine Estates Ltd. products are sold only in compliance with the laws of the particular jurisdictions in which they are sold, or intended to be delivered to. You understand that when using the website, you might be exposed to user generated content, and that we are not responsible for the accuracy, usefulness, safety, or intellectual property rights of or relating to such user generated content. You further understand and acknowledge that you may be exposed to user generated content that is inaccurate, offensive, indecent, or objectionable, and you agree to waive, and hereby do waive, any legal or equitable rights or remedies you have or may have against Ste. Michelle Wine Estates Ltd. with respect thereto, and agree to indemnify and hold Ste. Michelle Wine Estates Ltd., its parent, subsidiary, joint venture, partnership, and affiliated companies harmless to the fullest extent allowed by law regarding all matters related to your use of the website. This website (including all its contents) is the property of Ste. 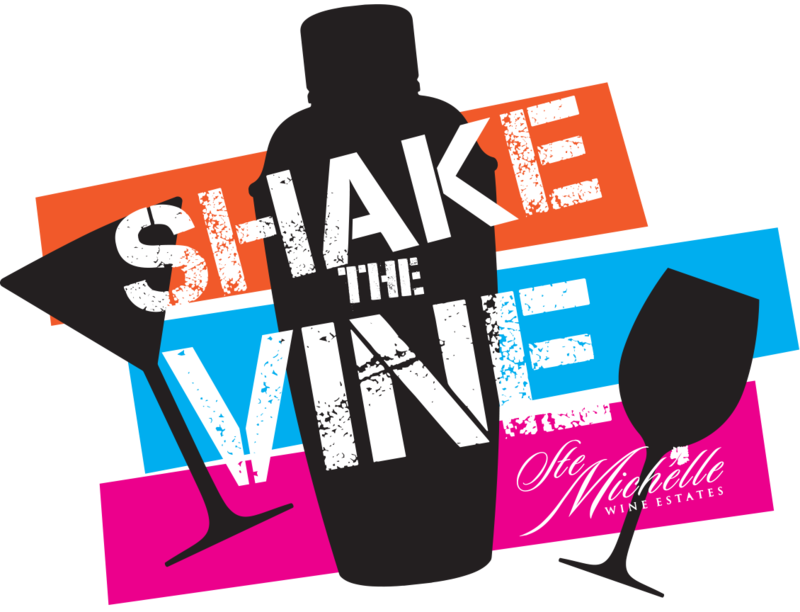 Michelle Wine Estates Ltd. or its licensors and is protected by copyright, trademark, trade secret, and other laws of the United States and other countries. We authorize you to browse through the website and print and download copies of material on the website for your personal, noncommercial use only, so long as you do not remove any copyright, trademark, or other notices that appear on the material you print or download and you do not modify, copy, or post any of the material on any network or broadcast in any medium. You agree that you will not otherwise copy, display, or transmit any material on the website in any manner or medium. You also agree not to modify, sell, broadcast, distribute, or create derivative works of any material on the website in any manner or medium, including by uploading the material or otherwise making the material available on-line. All restrictions, rights granted by you, and all disclaimers and limitations of liability by us shall survive termination. You acknowledge that you are responsible for any submission you make, including the legality, reliability, appropriateness, originality, and copyright of any such material. You may not upload to, distribute, or otherwise publish through this website, any content that: (i) could damage the reputation of Ste. Michelle Wine Estates Ltd. or any third party; (ii) is libelous, defamatory, obscene, pornographic, threatening, racially or ethnically offensive, invasive of privacy or publicity rights, infringing on proprietary or intellectual property rights, abusive, illegal, or otherwise objectionable; (iii) may constitute or encourage a criminal offense, violate the rights of any party, or otherwise give rise to liability, or violate any law; (iv) encourages, condones, or glamorizes underage drinking, drunk driving, or excessive consumption of alcoholic beverages; (v) attempts to corrupt the material, images, or files of this website; or (vi) may contain software viruses, political campaigning, chain letters, mass mailings, or any form of “spam.” You may not use a false email address, impersonate any person or entity, or otherwise mislead as to the origin of any content. You may not upload commercial content onto the website or post any advertisements or solicitations of business on the website. We do not endorse any content or any opinion, recommendation, or advice you express herein, and we expressly disclaim any and all liability in connection with any content you submit. We reserve the right to deny the publishing of any user generated content, to remove or reinstate user content, and to terminate your ability to upload user content, in our sole discretion at any time without prior notice to you. This website features logos and other trademarks and service marks that are the property of, or are licensed to, Ste. Michelle Wine Estates Ltd. The website may also include trademarks or service marks of third parties. All of these trademarks are the property of their respective owners, and you agree not to use or display them in any manner without the prior written permission of the applicable trademark owner. In compliance with the federal law of the United States, please include the following in your letter or email: (i) identification of infringing and infringed materials; (ii) your contact information (name, physical address, and phone number); (iii) statement of your good faith belief in the existence of the infringement; (iv) a statement indicating the accuracy of the complaint and your authority to submit it; and (v) your physical or electronic signature. If we become aware that one of our users is a repeat copyright infringer, we will take reasonable steps, within our power, to terminate that user. We may give notice to our users by means of a general notice on our website, electronic mail to a user’s e-mail address in our records, or by written communication sent by first-class mail to a user’s physical address in our records. If you receive such a notice, you may provide counter-notification in writing to the designated Copyright Agent that includes the following information: (i) identification of the material that has been removed or to which access has been disabled, and the location at which the material appeared before it was removed or access to it was disabled; (ii) your contact information (name, physical address, and phone number); (iii) a statement of your good faith belief that the material was removed by mistake or misidentification; (iv) your consent to the jurisdiction of a federal court in the district where you live (if you are in the U.S.), or your consent to the jurisdiction of a federal court in the district where your service provider is located (if you are not in the U.S.); (v) your consent to accept service of process from the party who submitted the takedown notice; and (vi) your physical or electronic signature. For additional information regarding the enforcement of copyrights, you may review the U.S. Digital Millennium Copyright Act codified at 17 U.S.C. § 512. In some instances state law regulates product availability and/or sets product purchase limitations, which may limit our ability to fulfill order requests. We may, at our discretion, limit or cancel quantities purchased per person, per household, or per order. These restrictions may include orders placed by the same account and/or the same credit card, or orders that use the same billing and/or shipping address. In the event we change or cancel an order, we will attempt to notify you by contacting you via the telephone, e-mail, and/or billing address provided at the time the order was made. If applicable, please see our Shipping & Service Policy for more details. Though we continually monitor our inventory to ensure product availability, there are times when products may be out of stock. We will call or e-mail you to determine if you would like to wait for the product to be in stock, substitute other items, or cancel part or all of the order. In cases where a substitution is necessary, we will contact you before shipping and provide the option to substitute your item(s). If you decide to make a substitution, the final item(s) you choose (with the corresponding price increase(s) and/or decrease(s)) will end up on the invoice and not the initial item(s) chosen. If you decide not to make a substitution, we will ship the available item(s) minus the out of stock item(s) or, if you would prefer, cancel the order. We will not ship partial orders without first getting your consent, we will not charge your credit card until we ship your order, and you will not be charged for out-of-stock items. Alcohol may only be sold and delivered to a person who is of legal drinking age. By placing an order on the website, you represent to us that you are of legal drinking age and the person to whom any wine (or other alcoholic beverage) will be delivered is also of legal drinking age, and you agree and consent to our comprehensive age verification process. All states allowing alcohol shipments to consumers require a signature, at the time of delivery, from a person of legal drinking age. Proof of age must be produced. We comply with all federal, state, and local laws regarding sale of alcohol to minors. If applicable, please see our Shipping & Service Policy for more details. If applicable, all orders placed on this website are subject to product availability and will be shipped according to our Shipping & Service Policy. We are prohibited from shipping to certain states, we cannot ship outside the United States, and we cannot ship to P.O. boxes. We ship orders via third party carriers, such as United Parcel Service, and Federal Express. Each state that allows us to ship directly to consumers requires the signature, at the time of delivery, of a person of legal drinking age. Failure to produce age verification upon request forfeits the right to receive the shipment until identification is produced. In such circumstances, the order will be shipped back to us at your expense. You are responsible for all shipping charges unless we expressly agree otherwise. Shipping charges will be calculated during the on-line ordering process. Shipping and handling charges are nonrefundable unless we sent the wrong item. YOUR USE OF THIS WEBSITE IS AT YOUR SOLE RISK. THE WEBSITE, AND ANY ITEM OR SERVICE YOU PURCHASE THROUGH THE WEBSITE IS PROVIDED ON AN "AS IS" AND "AS AVAILABLE" BASIS. WE RESERVE THE RIGHT TO RESTRICT OR TERMINATE YOUR ACCESS TO THE WEBSITE OR ANY FEATURE OR PART THEREOF AT ANY TIME. STE. MICHELLE WINE ESTATES LTD. EXPRESSLY DISCLAIMS ALL WARRANTIES OF ANY KIND, WHETHER EXPRESS OR IMPLIED, INCLUDING THE IMPLIED WARRANTIES OF MERCHANTABILITY AND FITNESS FOR A PARTICULAR PURPOSE AND ANY WARRANTIES THAT MATERIAL ON THE WEBSITE IS NONINFRINGING; THAT ACCESS TO THE WEBSITE WILL BE UNINTERRUPTED OR ERROR-FREE; THAT THE WEBSITE WILL BE SECURE; OR THAT INFORMATION ON THE WEBSITE WILL BE COMPLETE, ACCURATE, OR TIMELY. IF YOU DOWNLOAD ANY MATERIAL OR PURCHASE ANYTHING FROM THIS WEBSITE, YOU DO SO AT YOUR OWN DISCRETION AND RISK. YOU ARE SOLELY RESPONSIBLE FOR ANY LOSS OR DAMAGE THAT RESULTS FROM THE DOWNLOAD OR PURCHASE OF ANY SUCH MATERIAL. NO ADVICE OR INFORMATION, WHETHER ORAL OR WRITTEN, OBTAINED BY YOU FROM US OR THROUGH OR FROM THE WEBSITE SHALL CREATE ANY WARRANTY OF ANY KIND. IN NO EVENT WILL STE. MICHELLE WINE ESTATES LTD., NOR ITS PARENT, SUBSIDIARY, JOINT VENTURES, PARTNERSHIPS, OR AFFILIATED COMPANIES OR THIRD-PARTY CONTENT PROVIDERS BE LIABLE FOR ANY DIRECT, INDIRECT, INCIDENTAL, SPECIAL, CONSEQUENTIAL, PUNITIVE, OR ANY OTHER DAMAGES RELATING TO OR RESULTING FROM YOUR USE OF OR INABILITY TO USE THIS WEBSITE (INCLUDING, BUT NOT LIMITED TO, PURCHASING ALCOHOL) OR FROM ANY ACTIONS WE TAKE OR FAIL TO TAKE ARISING OUT OF OR RELATED TO YOUR USE OF THE WEBSITE. THESE INCLUDE DAMAGES FOR ERRORS, OMISSIONS, INTERRUPTIONS, DEFECTS, DELAYS, COMPUTER VIRUSES, LOSS OF PROFITS, LOSS OF DATA, UNAUTHORIZED ACCESS TO AND ALTERATION OF YOUR TRANSMISSIONS AND DATA, AND OTHER TANGIBLE AND INTANGIBLE LOSSES. THIS LIMITATION APPLIES REGARDLESS OF WHETHER THE DAMAGES ARE CLAIMED UNDER THE TERMS OF A CONTRACT, AS THE RESULT OF NEGLIGENCE OR OTHERWISE, AND EVEN IF WE OR OUR REPRESENTATIVES HAVE BEEN NEGLIGENT OR HAVE BEEN ADVISED OF THE POSSIBILITY OF SUCH DAMAGES. CERTAIN LAWS DO NOT ALLOW LIMITATIONS ON IMPLIED WARRANTIES OR THE EXCLUSION OR LIMITATION OF CERTAIN DAMAGES; IF THESE LAWS APPLY TO YOU, SOME OR ALL OF THE ABOVE DISCLAIMERS MAY NOT APPLY, AND YOU MIGHT HAVE ADDITIONAL RIGHTS. YOU AGREE TO INDEMNIFY AND HOLD STE. MICHELLE WINE ESTATES LTD., ITS PARENT, SUBSIDIARY, JOINT VENTURES, PARTNERSHIPS, AND AFFILIATED COMPANIES, AND THEIR RESPECTIVE OFFICERS, AGENTS, PARTNERS, AND EMPLOYEES, HARMLESS FROM ANY LOSS, LIABILITY, COST, EXPENSE, CLAIM, OR DEMAND, INCLUDING WITHOUT LIMITATION, REASONABLE ATTORNEYS' FEES, DUE OR RELATING TO, OR ARISING OUT OF YOUR USE OF THE WEBSITE IN VIOLATION OF THESE TERMS AND/OR ARISING FROM A BREACH OF THESE TERMS AND/OR ANY BREACH OF YOUR REPRESENTATIONS AND WARRANTIES SET FORTH HEREIN. NOTWITHSTANDING ANYTHING HEREIN TO THE CONTRARY, WE RESERVE THE RIGHT TO EXCLUSIVELY DEFEND AND CONTROL ANY CLAIMS ARISING FROM THE ABOVE AND ANY SUCH INDEMNIFICATION MATTERS AND THAT YOU WILL FULLY COOPERATE WITH US IN ANY SUCH DEFENSES. All disputes arising out of your use of the website or the parties’ relationship hereunder shall be resolved by final and binding arbitration in Seattle, Washington in accordance with the Commercial Arbitration Rules of the American Arbitration Association. Arbitration as provided herein shall be the exclusive remedy for all claims and disputes. Judgment upon any award rendered by the arbitrator(s) may be entered in any State or Federal court having jurisdiction thereof. The expenses of the arbitration shall be borne equally by the parties. Any claim shall be arbitrated on an individual basis and shall not be consolidated with any claim of any other party whether through class action proceedings, class arbitration proceedings, or otherwise. Notwithstanding the foregoing, you agree that we may bring suit in court to enjoin your infringement or other misuse of intellectual property rights.